One of Bob Schieffer's first stops after stepping down from the "Face the Nation" moderators chair will be Harvard University. The university's Shorenstein Center on Media, Politics and Public Policy announced on Tuesday that Schieffer will be a fellow for the next three semesters. His fellowship "will focus on the 2016 presidential election," the university said. The Shorenstein Center is part of the Harvard Kennedy School. Prominent journalists often spend a semester with the center, conducting research and spending time with students. 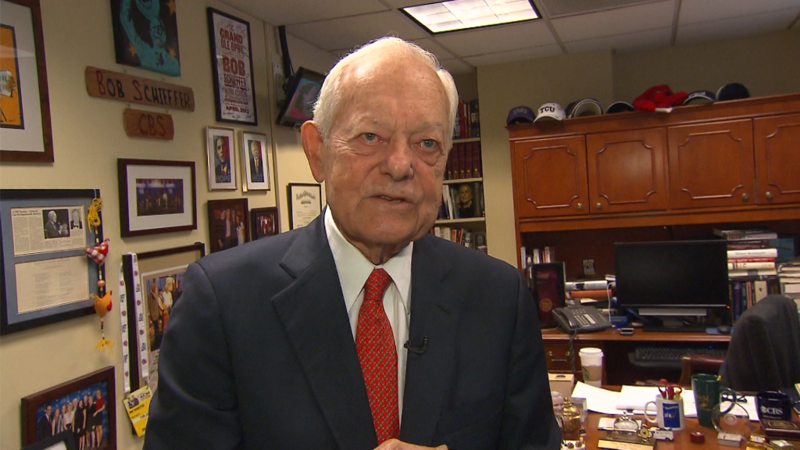 Schieffer's fellowship will be longer than most, beginning in September 2015 and ending in December 2016. In response to an email inquiry on Tuesday morning, Schieffer said the Harvard appointment is the only announcement he'll make for the time being. "Trying to ease into this next phase slowly," he said. The CBS newsman signed off from "Face the Nation" last Sunday after nearly a quarter-century on the program. He has been with CBS for 46 years. 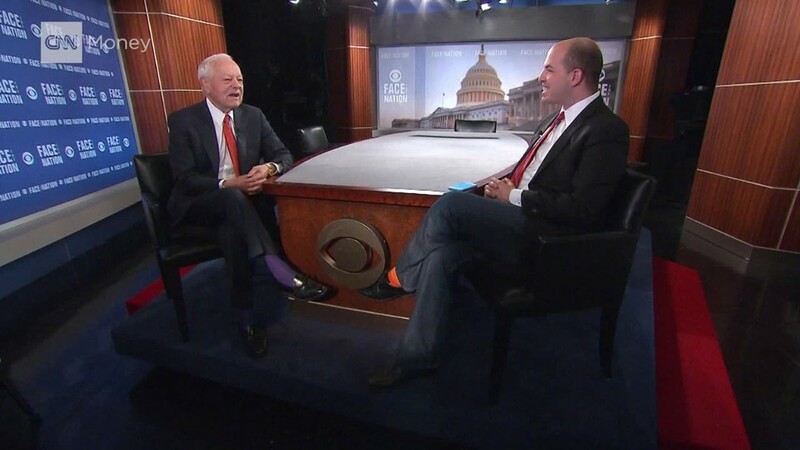 Schieffer said in an earlier interview with CNNMoney that he didn't know if he'd remain a part-time contributor to CBS after retiring from the program. But he said he would definitely spend time teaching college students. The journalism school at his alma mater, Texas Christian University, bears his name, and he announced his "Face the Nation" retirement during a visit to campus in April. The Harvard fellowship Schieffer accepted was set up in 2013. Alex S. Jones, the center's director, said in a statement: "Joan Shorenstein, for whom the Shorenstein Center was originally named, worked as a journalist for Bob Schieffer, and Bob was an admiring friend of Walter Shorenstein, Joan's father, for whom the fellowship is named. What could be more perfect?"